Summer pruning apples and pears allows sunlight to ripen the fruit and ensures good cropping the following year. This is the main method of pruning for restricted forms such as cordons, espaliers, fans and pyramids. Summer pruning is mainly for apples and pears trained as restricted forms: cordon, espalier, fan, pyramid, spindlebush. Trees grown as standards or bushes are managed with winter pruning. Summer prune when the bottom third of the new shoots is stiff and woody. Generally, this will be from mid-July for pears and the third week in August for apples and about ten days later in the north. To reduce the possibility of secondary growth it can be left until late August. Judge the exact timing according to the vigour of the plant, the weather and locality. 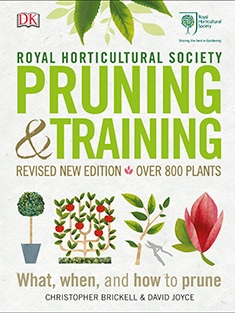 Summer pruning involves cutting back new shoots to allow light to reach the fruit. New shoots are stiff and woody along their bottom third, with dark green leaves and a cluster of leaves at the base.